Many bioaerosols thrive and can live in the air in your home. These bioaerosols can very negatively impact your health and cause illness and disease. This is especially a concern if you have young children, older people or people with existing health conditions. Viruses- These are the smallest biological particulates and so are able to transmit the furthest distances. Bacteria- Bacteria are capable of completing their full biological reproductive cycles while remaining airborne. 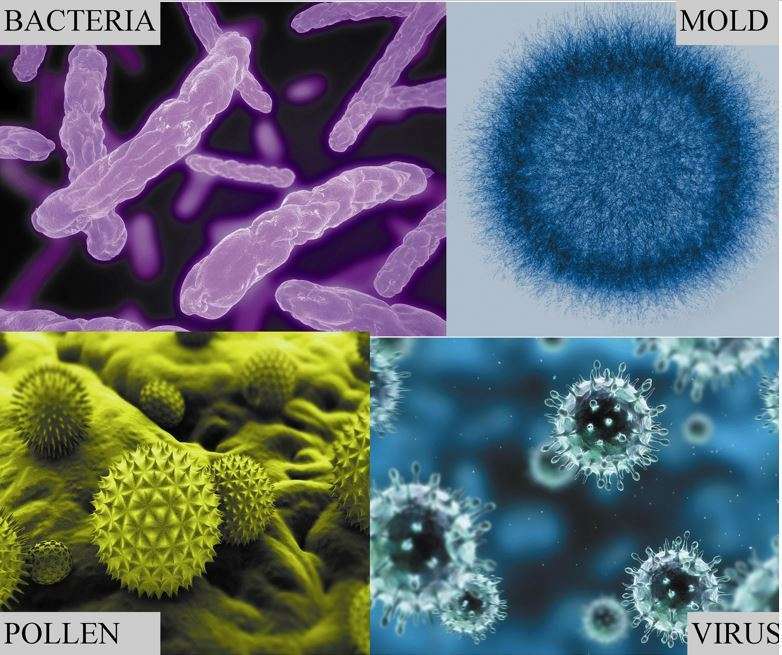 The four main groups which might inhabit your home are Actinobacteria, Bacillaceae, Bacteroidetes and Proteobacteria. Fungus, Mold Spores- While many of these contaminants will die after a time in an airborne environment, humidity can cause them to thrive longer and survive airborne for some time. Pollen- Pollen is a non-living contaminant but can cause or aggravate allergies. Keep all surfaces clean and periodically clean with anti- bacterial, anti- virus products. Vacuum carpets frequently to collect dust, dirt, dander and other particulates. 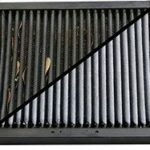 Change Air Filters frequently. At least every three months, but every month if you have pets or high traffic. Use microbial filters designed to reduce or remove bioaerosols (See MERV Rating). Check your humidity levels. Over 50% humidity can encourage mold growth. A proper humidity range is between 30-50%. There are many different air filters available for your HVAC system, but only certain ones are able to help control bioaerosols. In order to determine which ones do, the air filters are ranked and rated for the size particulates they filter out. This rating is known as MERV (Minimum Efficiency Reporting Value) and ranks from 1 to 20. Residential applications usually rate between 4- 12. Higher ratings are generally for industrial purposes. A rating of MERV 7 can help remove allergens and bacteria. HEPA (High Efficiency Particulate Arrestance) filters are made to effectively remove over 99% of particulates greater than 0.3 micrometers. Some Vacuum cleaners can use HEPA bags which also helps reduce airborne contaminants. Air Doctor Heating and Air is always ready to assist and consult with you on your HVAC equipment, your air quality humidity levels. We are pleased to make recommendations to improve your indoor air quality which effects your health and well being.